Adults and children with a range of physical and mental health conditions can receive specialist dental help thanks to the Oxfordshire Community Dental Service. Run by Oxford Health NHS Foundation Trust, the team at OCDS provides specialist dental care to a wide range of patients unable to receive care from a general dental practitioner, but who do not necessarily need to be seen in a hospital. Patients need to be referred to OCDS which caters for a range of people with medical conditions, learning or physical disabilities, anxiety or phobias, mental health issues and those who require special care services, including sedation. Treatments are carried out clinics in 10 locations across the county – Abingdon, Banbury, Bicester, Didcot, East Oxford, Kidlington, Luther Street in East Oxford, Wallingford, Wantage and Witney. The team also provides treatment with general anaesthesia for children and special care adults at the John Radcliffe and Horton Hospitals. And it has a domiciliary service for patients who are unable to attend clinics. Most people are referred to this service by their general dental practitioner, although it is possible to be referred by other healthcare or social care professionals, such as GPs and health visitors. 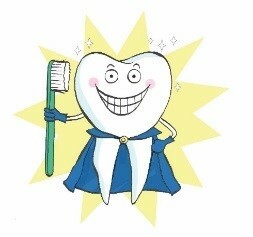 OCDS also works with schools and community groups across Oxfordshire to promote good dental hygiene. Elizabeth Sherry, Advanced Health Improvement Practitioner at OCDS, said: “There is an inter-relationship between oral health and general health. Poor oral health can affect someone’s ability to communicate, work, socialise and their self-esteem. It can particularly affect children and young adults who are learning and developing, starting to speak or starting school. “We can assist health and non-health professionals with oral health promotion training and resources, as well as providing information and education sessions to the public.